When I drive alone in my car, I use the time to listen to inspiring CD’s. 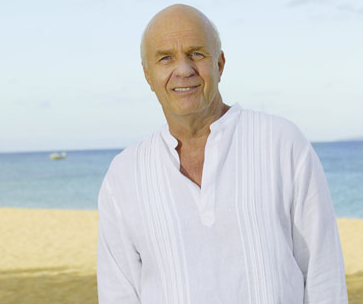 I am currently listening to Dr. Wayne Dyer’s CD The Power of Intention. If you haven’t heard it yet, I highly recommend it. His words, the sound of his voice and the simple but true concepts really make you stop and think. He truly is the father of motivation and inspiration for good reason. Try it today. Try just “being” and allow your intention to flow through you. Offer to serve and help people whenever you can without asking for anything in return…that’s the art of allowing and living in intention. It is liberating and freeing…I am a work in progress. One person can make a difference…that one person is YOU!